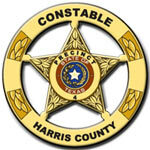 Harris County Constable, Precinct 4 provides law enforcement services in and around Prestonwood Forest. Residents are encouraged to save the Precinct 4 Constable’s 24-hour dispatch number, 281-376-3472, in their telephone’s contact list or speed dial list, for easy access – and always call this dispatch number to report a suspicious person or activity, in addition to law enforcement issues and concerns. The Prestonwood Forest Maintenance Association’s Board of Directors has entered into annual agreements with the Harris County Precinct 4 Constable for dedicated patrolling of Prestonwood Forest streets. In this contract, the Constable provides one Deputy Constable who devotes seventy percent of his or her normal working hours to patrolling our streets and providing other law enforcement services. Regardless of the patrol schedule, Precinct 4 Constable services are available 24/7 by contacting 281-376-3472. In addition to the dedicated patrols, additional services are contracted during events such as Halloween and Prestonwood’s famous ‘Nite of Lites’. Precinct 4 Constables are integral to Prestonwood’s community and are featured guests at the annual July 4th and Fall Festival festivities, in appreciation for their services and to promote our strong partnership. Residents are highly encouraged to meet informally with the Constables, during these annual events. Precinct 4 Constables also attend every monthly Homeowner’s Meeting (1st Thursday of each month) to meet with residents, discuss the monthly statistics report and address questions and concerns. For residents who are unable to attend a monthly meeting, the monthly statistics report is posted on this website and a summary is printed in the monthly Prestonwood Press.